I placed it in the unzipped directory of ASAv to avoid struggling with full paths. 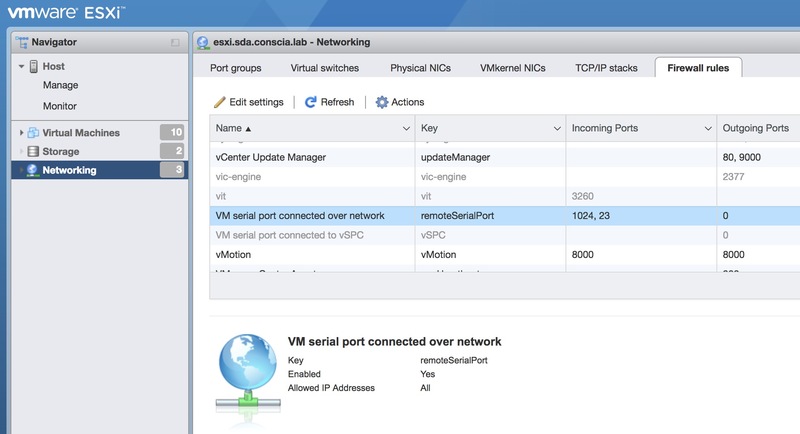 You’ll get prompted for the root password of the ESXi host and deployment will begin. 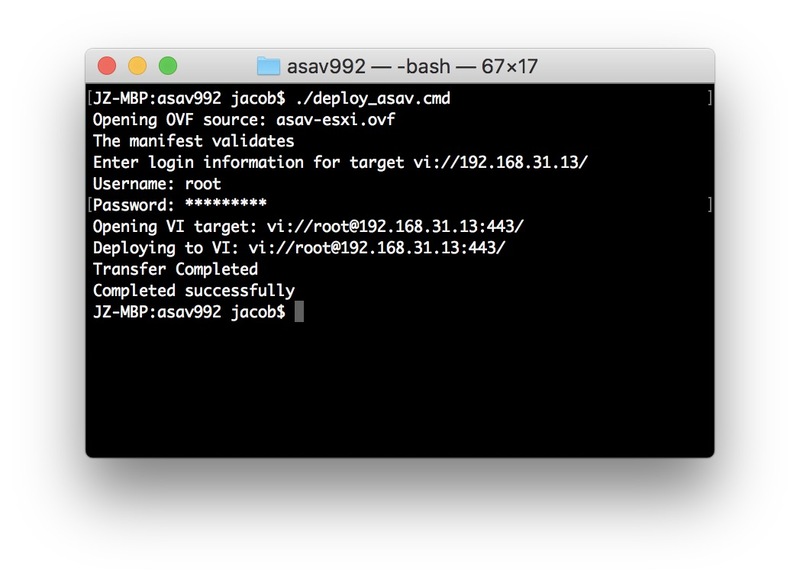 It looks like this: After deployment you’ll need to change the Memory of the ASAv to 2GB or you’ll receive an error about starting webvpn when configuring ASDM (http ip mask interface).